Review: Life at the End of Us Versus Them: Cross Culture Stories. By Marcus Peter Rempel. Privately published with Friesen Press, 2017, 318 pages. Life at the End of Us Versus Them is an unconventional critique of the postmodern world from the perspective of a youngish father who lives off the land. 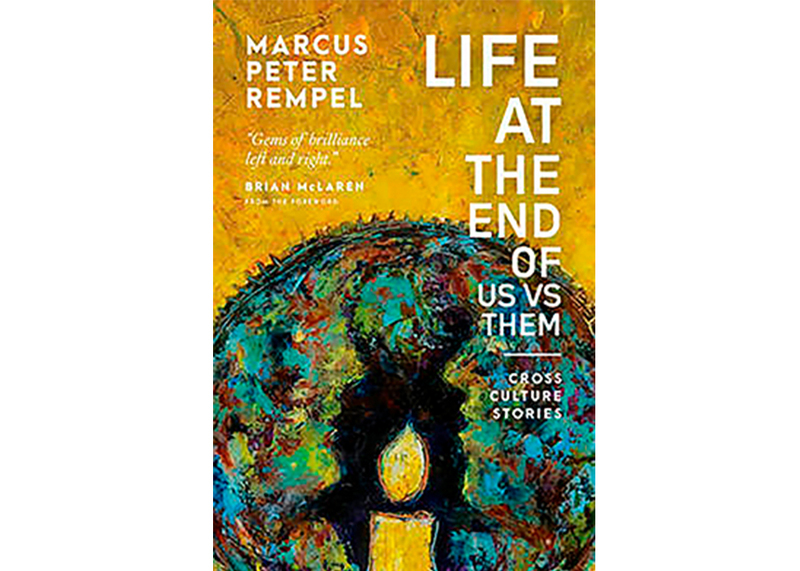 Part theologian, part philosopher, Marcus Rempel examines contemporary culture from the perspective of someone who takes the message of Jesus seriously. Rempel believes in being honest about life’s questions. For him, the existential crisis is less about the existence of God and more about the problem of human violence. Using ideas from philosophers René Girard and Ivan Illich, he explains, “We are at the end of the world as we know it,” and we need to learn to live without violence by ending the concept of “us” versus “them.” Within this philosophical framework, he makes observations about life using many captivating stories. 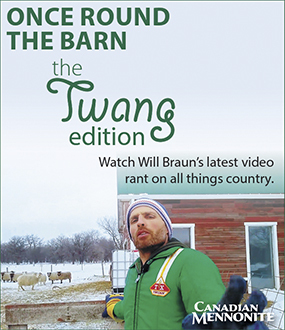 As he examines the idea of good violence, as opposed to bad violence, Rempel uses the horse-and-buggy Mennonites in rural Manitoba as a case study. He provides fascinating details from the 2013 story of how Child and Family Services (CFS) seized the children in this community because it believed that physical punishment of children was bad violence. He suggests that CFS, with the best of intentions, did more harm than good, using one kind of violence to cast out another. Wondering about the role of discipline in society, Rempel recognizes that the Mennonite children in question have a high level of self-discipline, while the rest of society, which frowns on any parental violence, struggles with disrespect for authority. He writes, “My grandfather had a confidence in his moral code and his disciplinary authority that I will never have.” There is a sense that Rempel is wistful about the decline of discipline in society. Rempel is also scathing of what he calls the “pornification of culture.” Using the backdrop of the Jian Ghomeshi case, he wonders how we can expect to reduce incidents of sexual harassment given our culture’s permissive attitude toward promiscuity and sexual deviance. Our society is full of mixed signals, he observes, recognizing that we have lost many of the constraints formerly held in the broader community. Given the sexual dynamics of our present culture, he wonders how we can provide protection for women while helping men keep their “sexual fire” under control. Rempel explores a wide variety of other contemporary issues, including relationships with Indigenous people, with nature and with minority groups. He suggests that capitalism, with its mantra that greed is good, has no future, and considers whether subsistence living might be sustainable. Like others of his generation, he has abandoned the hope that society can save us, turning instead to love—suffering love—to provide hope for humanity. He suggests that a new sort of church might be in circles of friendship in which people help each other, and he humbly wonders if the Ploughshares Community Farm in Beausejour, Man., could serve as a model. As a practical thinker, I did not find Rempel’s many references to philosophers and theologians overly captivating, but I found his candid comments on contemporary issues most interesting.